Nyx is the Greek Goddess of the night, and the daughter of Chaos. She was told to be very beautiful. Her birthplace was not on Earth but in Gaia. She is Primordial God. It is said that she was created near the beginning of time. Her home is in the depths of Hades’ underworld. Nyx has a shadowy figure, which makes her the perfect personification of the night. In ancient art, Nyx was drawn in three different ways. She was either winged, charioteer, or crowned with an aureole of dark mists. Nyx is a very unique goddess. She can impact mankind in a good or bad way. Her ability to bring sleep or death unto to the human race. This is not the goddess to mess with. Zeus even feared Nyx because she was older and stronger than him. She is the only goddess he’s ever feared. That speaks volumes of her power. The moonstone is used to honor her to this day. It reflects it’s owner and should be used during the full moon. Nyx lived in Tartarus, a place of torment, suffering, and darkness. Funnily enough, however, Nyx is not exactly the personification of evil in greek mythology. She’s never spoken of having done anything more ‘evil’ than Zeus himself does in any mythology. Yet, because of her mysterious and dark nature, many see her as more of a villain figure than she ever appears to be. Surprisingly, Nyx was never the figurehead of any cult or group, but was worshipped as a background deity in many of the ones for other gods and goddesses. Nyx married Erebus, the God of darkness. Nyx and Erebus produced Hemera (Day) and Aither (Light). Hemera is Nyx’s opposite. Nyx brought the dark veil over the night, while Hemera chased the dark mists away each morning. Interestingly so, Nyx was able to create her own dark spirits including Fates, Sleep, Death, Strife, and Pain. More of Nyx’s children include, Geras, Moros, Nemesis, the Keres, and the Oneiroi. You don’t notice Nyx as a central figure, in many of the mythical tales, but that doesn’t mean she wasn’t around. 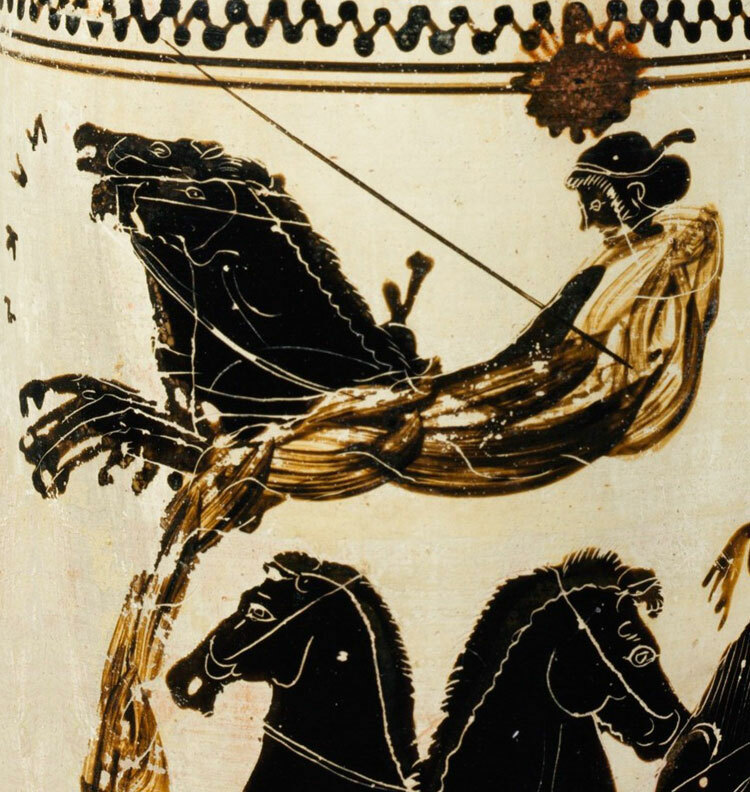 An interesting tale took place between Nyx’s son Hypnos and Zeus. Hera, Zeus’s wife, goddess of Birth & Marriage, asked Hypnos to put Zeus to sleep. She was trying to plot against him, while he slept. The planned did not end very well. Hypnos was not strong enough to incapacitate Zeus. When he figured it out, he hunted down Hypnos. Nyx allowed her son refuge in her cave. Zeus was too afraid to angry her, so he retreated back to whence he came. Nyx appears in many important greek poems. In the fragments of poetry she inhabits, Nyx is the first of all creation. Before there was anything, there was darkness or ‘night’ and it was there that Nyx came to be, according to the ancient Greek mythos. Nyx is often portrayed in symbolism as a moon or stars, in accordance with her ending the daytime and bringing the night.